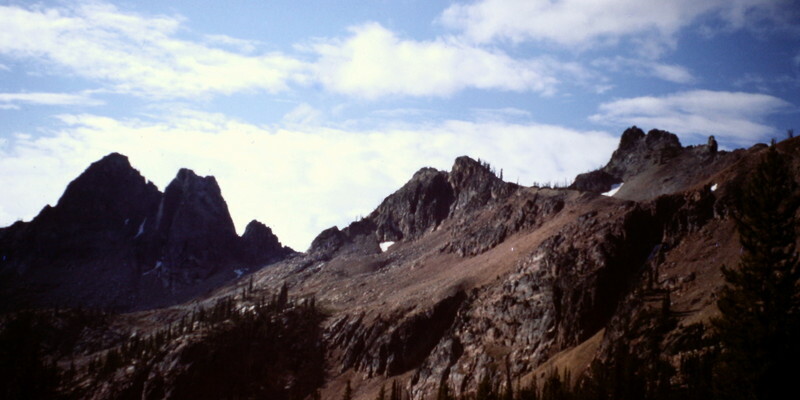 The Tango Peaks are a north south ridge found in the southeast corner of the eastern Salmon River Mountains north northeast of Stanley, Idaho. It includes Mount Loening, Last Tango Peak, Cabin Creek Peak and Red Mountain. 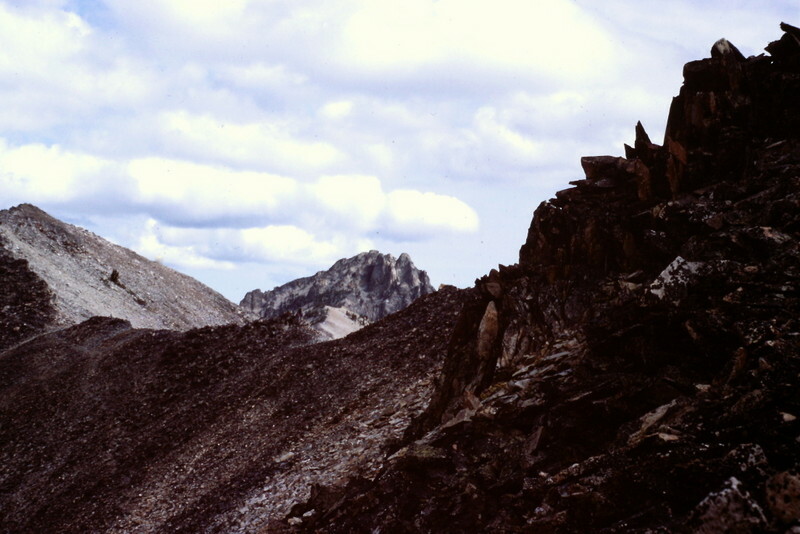 Additionally, there is an unnamed peak comprised of three dark rock towers that I call the The Black Tower that, as far as I know, have not been climbed. Cabin Creek Peak involves a technical ascent and has only one reported ascent by Paul Bellamy, Dana Hansen and myself. These peaks are discussed on pages 129 to 131 in the book. 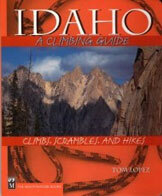 The name of the ridge is not official and was adopted from Sheldon Bluestein’s original Idaho hiking guide which is long since out of print. 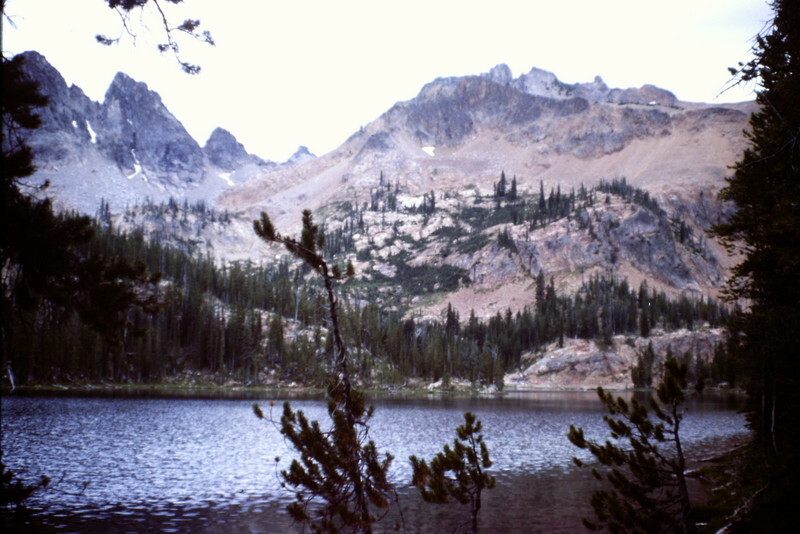 The Tango Peaks are accessible from several trailheads and include a few beautiful lakes with good fishing. 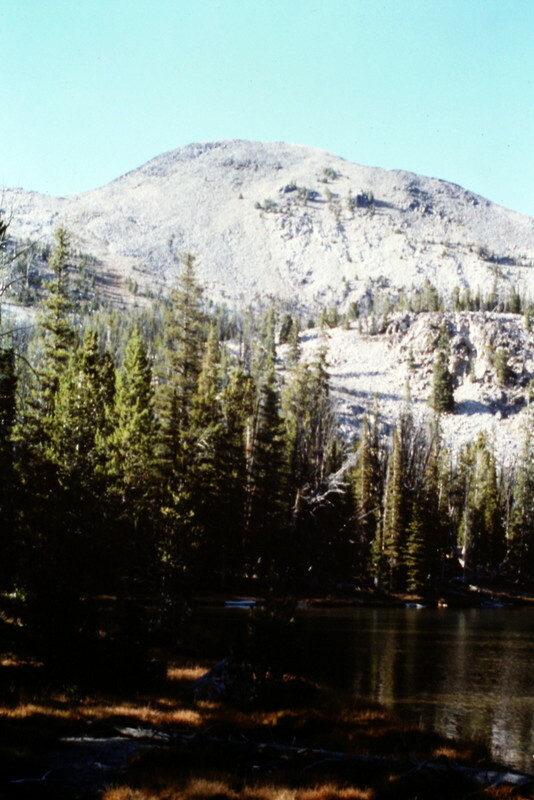 Looking south toward the Crimson Lake Cirque. 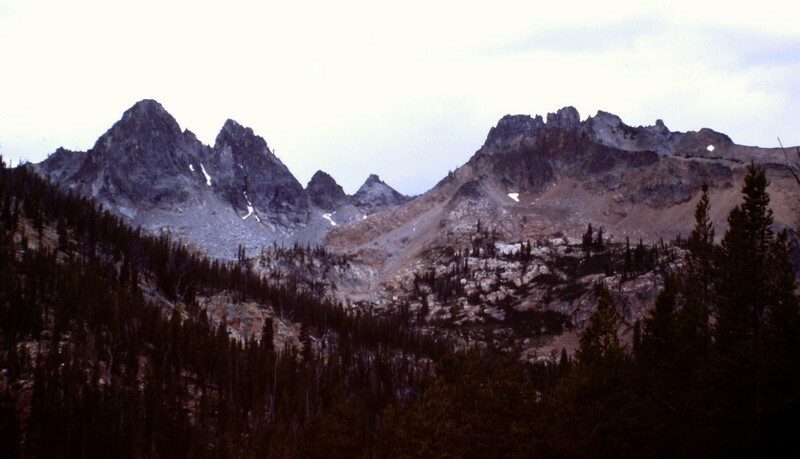 The Black Towers are on the left and Cabin Creek Peak is on the right. A wider shot of the same area. 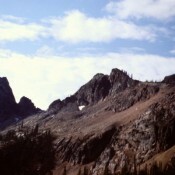 The crest of the Tango Peaks looking north. Mount Loening is in the middle of this shot. 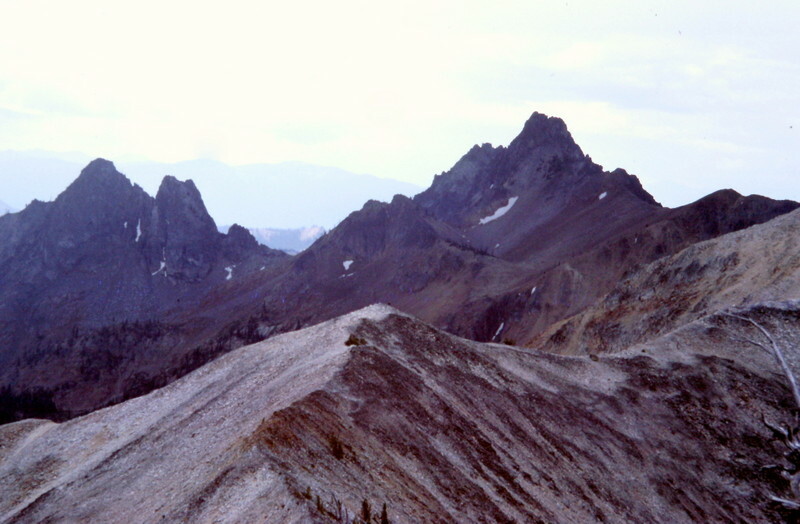 Cabin Creek Peak on the right and the Black Towers on the left viewed from Mount Loening. Crimson Lake receives my vote for Idaho’s most beautiful lake.